35 - Stephen Hawking Says, "FEAR NOT The Black Hole!" by What The If? In memoriam, we remember and celebrate Stephen Hawking by turning up his HAWKING RADIATION to eleven!!! What the IF would happen if, as Black Holes not only evaporate, as Hawking discovered, but they do it really really fast. 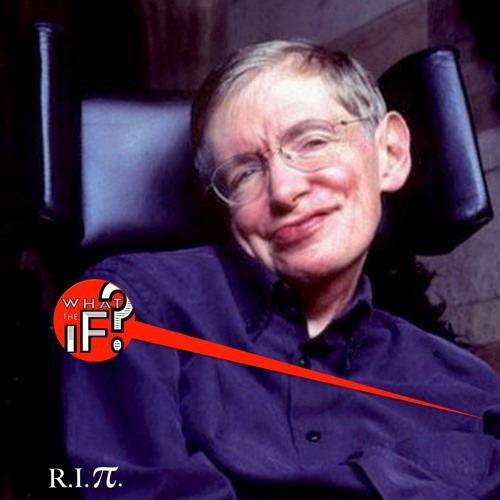 What if Hawking Radiation was as bright and fast and mischievous as the man himself? In this very special episode, in which we also celebrate Pi Day and Einstein's Birthday, we explore and stand in amazement as we gaze upon one of the epic discoveries that made Stephen Hawking famous. What the IF all the Black Holes in the Universe exploded with light and put on a show for this scientist who triumphed over so much, and gave so much to the world. Click and enjoy! Download 35 - Stephen Hawking Says, "FEAR NOT The Black Hole!" Users who like 35 - Stephen Hawking Says, "FEAR NOT The Black Hole!" Users who reposted 35 - Stephen Hawking Says, "FEAR NOT The Black Hole!" Playlists containing 35 - Stephen Hawking Says, "FEAR NOT The Black Hole!" More tracks like 35 - Stephen Hawking Says, "FEAR NOT The Black Hole!"